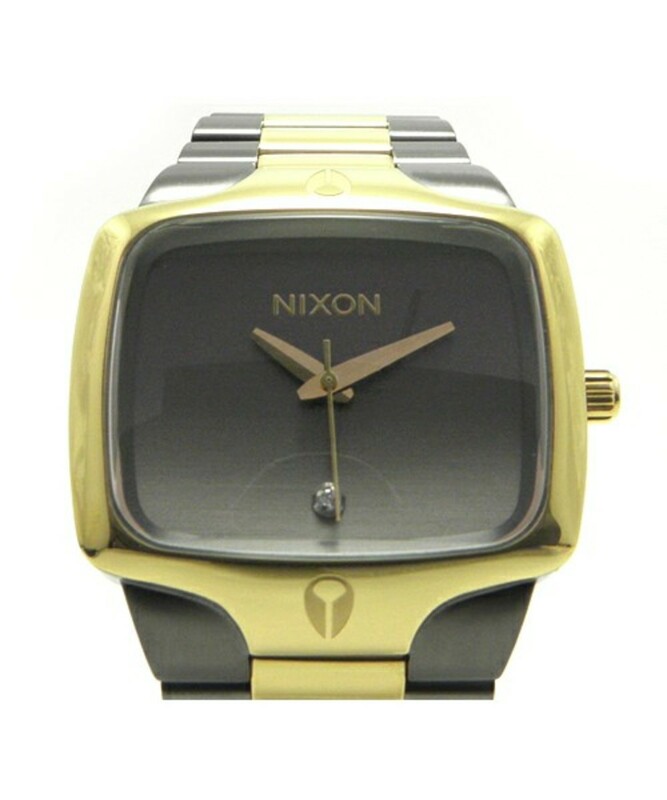 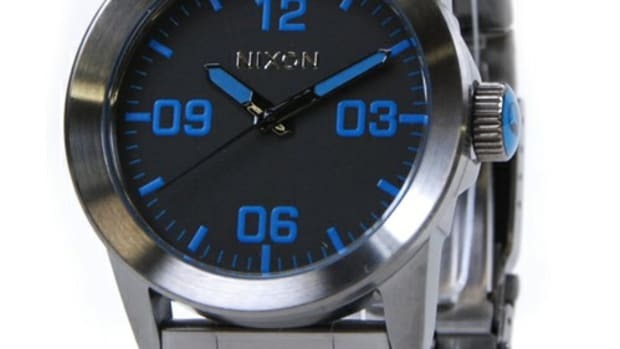 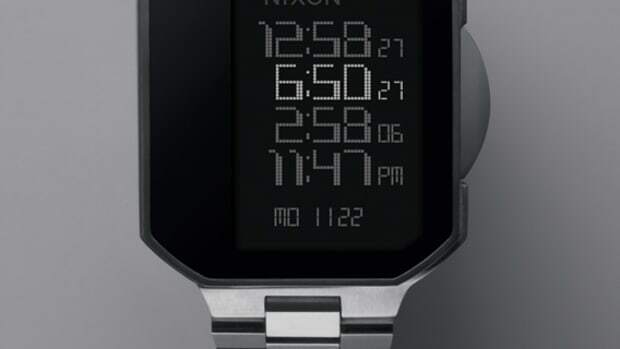 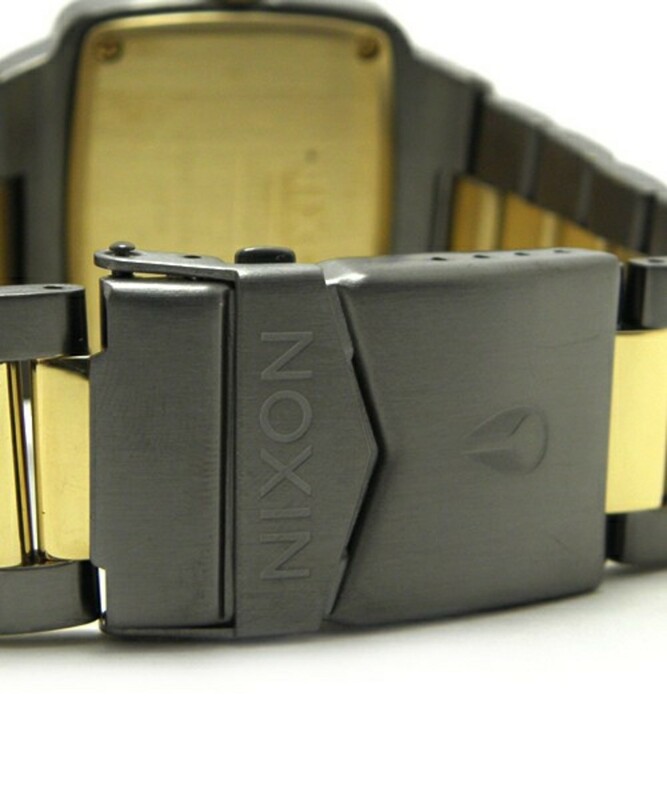 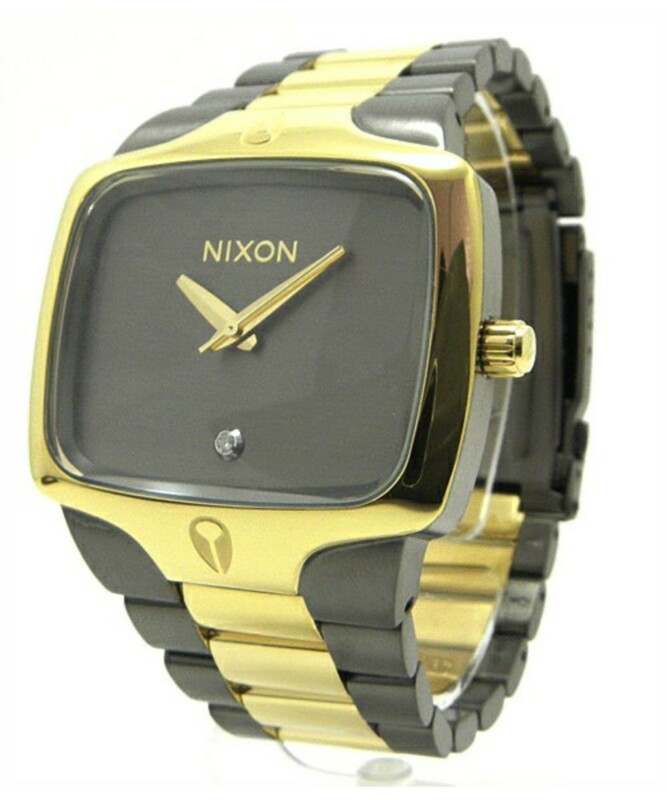 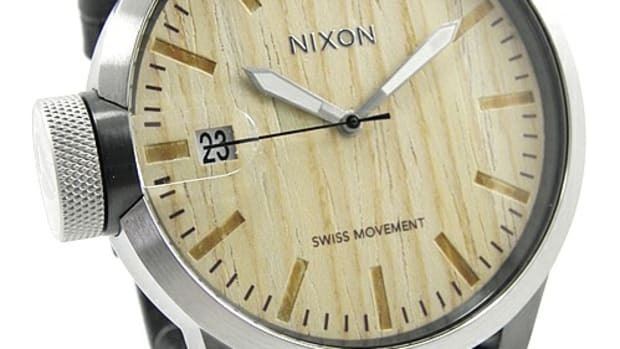 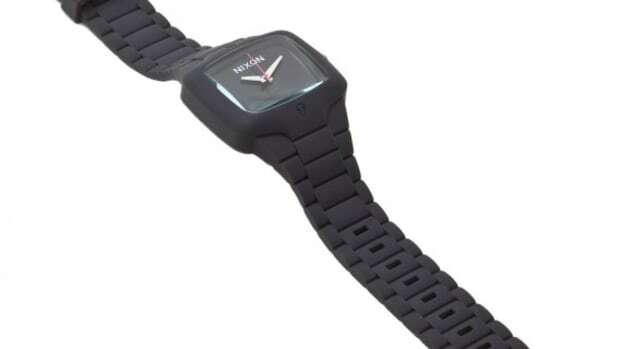 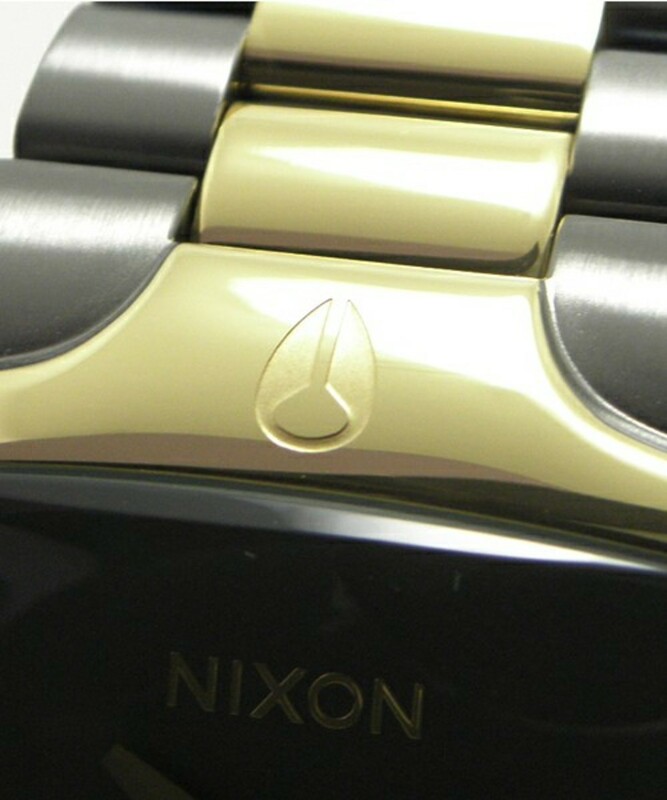 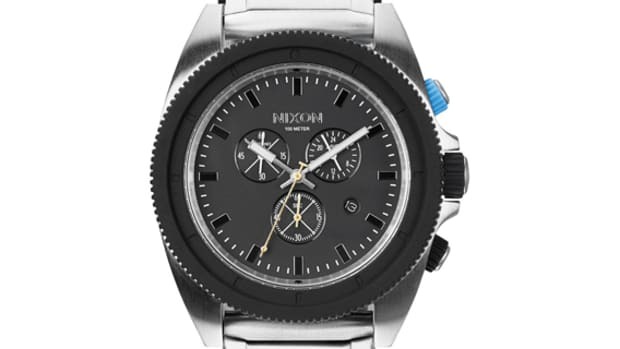 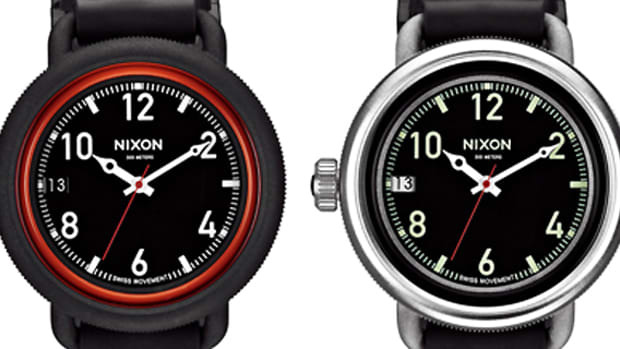 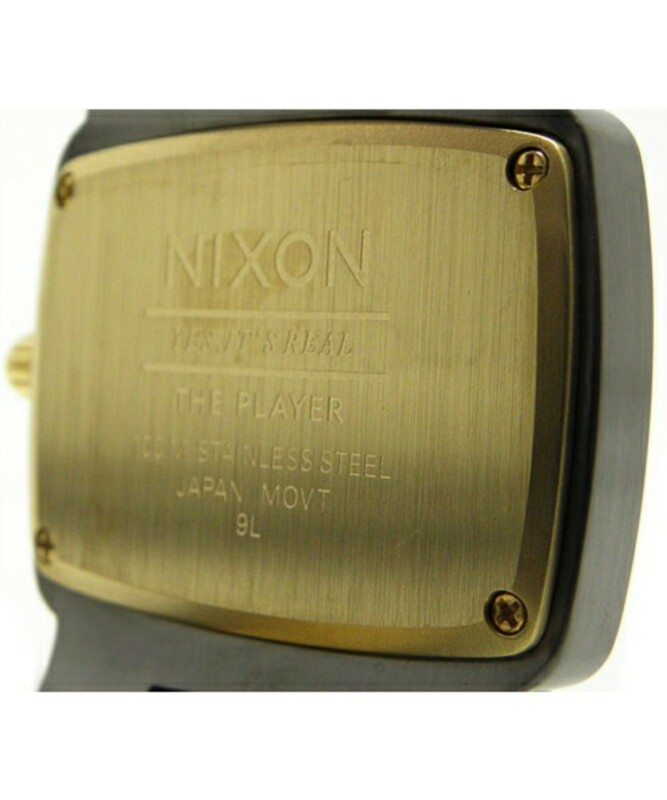 The Player is one of the staple models from Nixon which has maintained a good following. 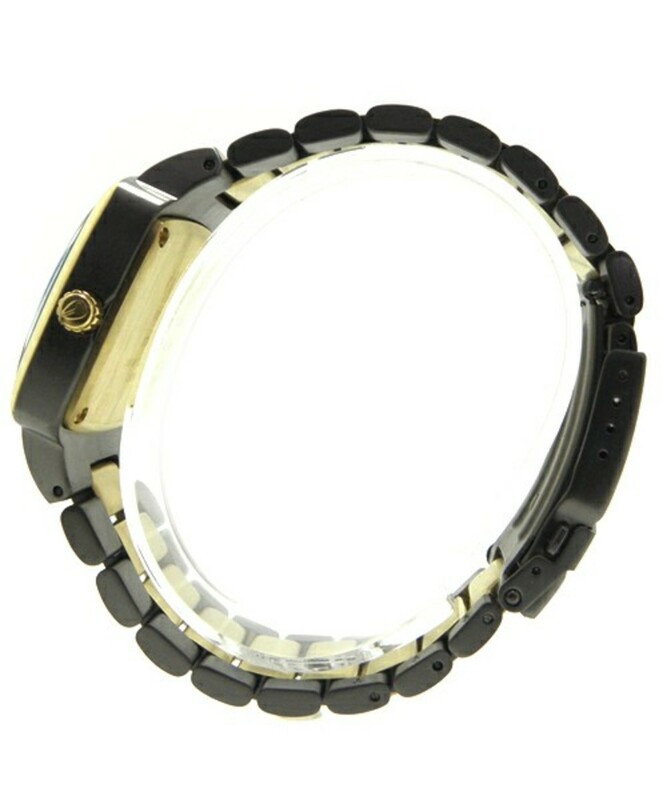 Their latest offering puts a twist to the classic design in two tone gold and black colorway that adds more luxurious feel to the time piece. 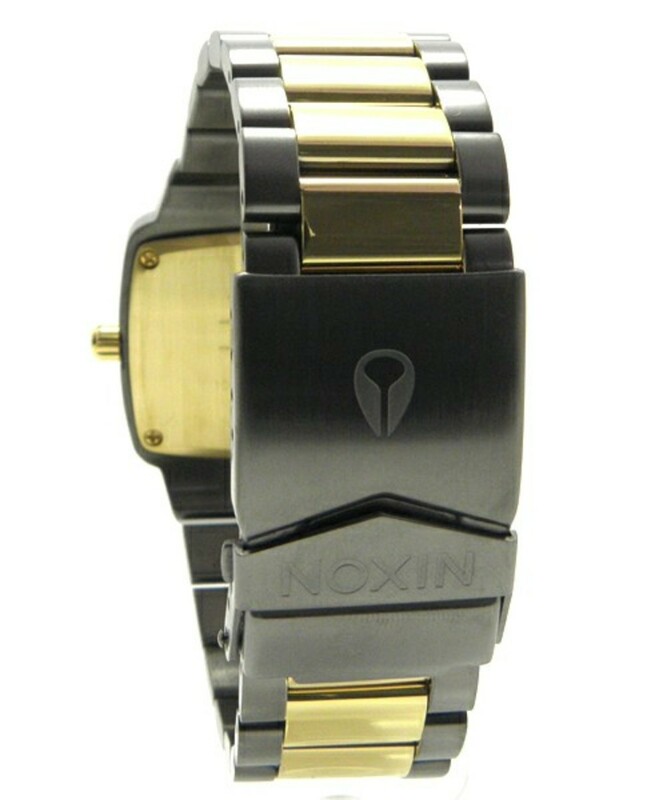 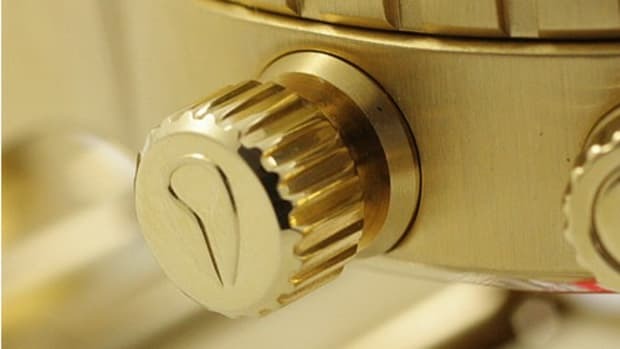 Stainless steel is plated with shiny gold color while the black is less shiny in matte finish providing a good contrast. 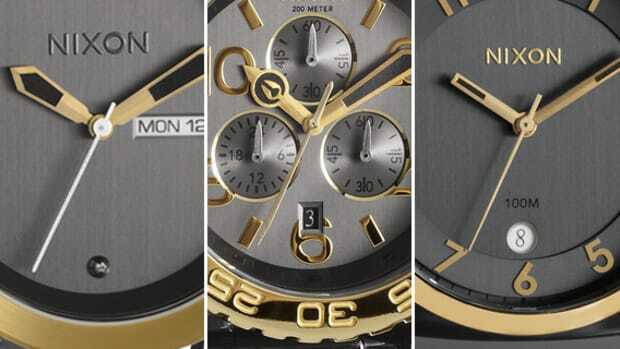 Simple face is void of numbers and features a single stone at the 6 o&apos;clock position. 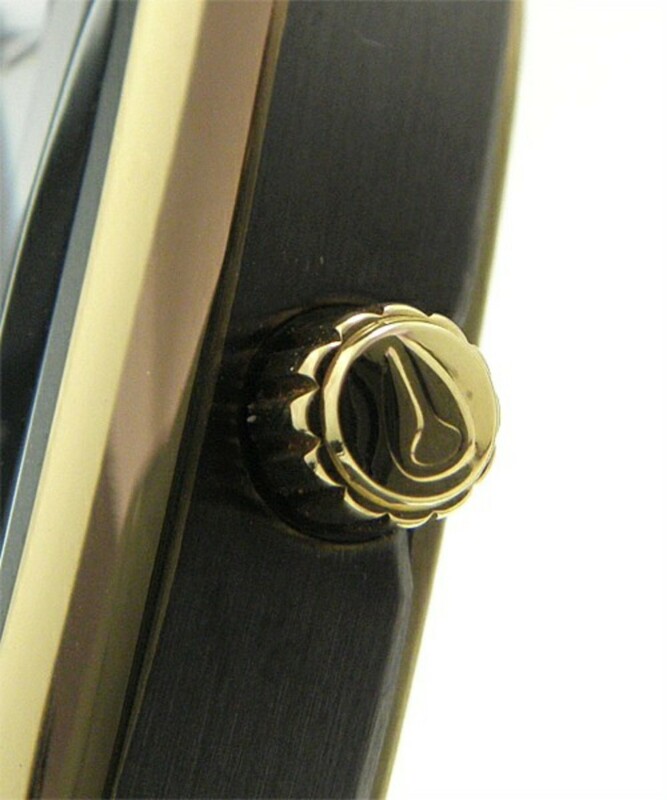 The dial is covered by a non scratch mineral crystal glass and this watch is water resistant to 100m.